Eaton's Ephesus All Field Series provides high schools, colleges and municipalities with a high-quality, energy-efficient, cost-effective and controllable outdoor LED sports lighting solution. 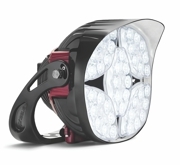 All Field's low weight and low Effective Projected Area (EPA) make it the first LED fixture designed to easily retrofit into existing infrastructure. The enhanced optics efficiently deliver uniform light on the field to significantly reduce unwanted light trespass and sky glow. Save 60 to 70 percent on your lighting costs while dramatically improving light quality. ThinkLite delivers the most efficient LED retrofit solution, serving hundreds of fitness, tennis and recreation facilities. Save money and optimize energy efficiency. Choose ThinkLite, the LED manufacturer of choice. Improve light quality by 20 percent, and eliminate lamp and ballast replacement for up to 10 years. The world's only driverless LED, it is 70,000 hours rated with only 5 percent depreciation. Musco's Total Light Control—TLC for LED™ system achieves a level of lighting precision never before possible. With total control from foundation to poletop, from the light source to the field, and to preserving the night sky, TLC for LED™ offers better lighting for players, for neighbors and for your budget. And with a 25-year parts and labor warranty and 24/7 support from Control-Link®, customers avoid maintenance costs and have peace of mind with their system's performance. Philips Lighting now offers the ArenaVision LED lighting system. 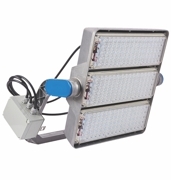 Next to superior performance for lighting sports events, this lighting system can truly transform a stadium or arena. With this system, Philips Lighting can attract and thoroughly entertain spectators while simultaneously boosting your profitability and driving revenue opportunities. With more than 30 years of sports lighting experience, Qualite has designed a revolutionary sports lighting system that is a true game changer. Designed for HDTV broadcasting, digital photography and slow-motion recording from professional to recreational levels. Backed by the best warranty, guaranteed light levels and Qualite's commitment to customer service.